Can MFC assist formulators of car care products achieve the next level of performance? Can it offer ease of use for consumers and car care professionals, while at the same time using safer, more environmentally friendly additives with a wide range of functionality? I think the answer is yes, and I will show you why. Interior car care products include plastic and vinyl cleaners and polish, leather polish and protectant, upholstery and carpet shampoo, upholstery and carpet shampoo with odor absorber, car interior deodorizer spray and car interior windshield cleaner with anti-fogging effect. Generally speaking, detailers are the biggest users of presoaks. A good presoak will loosen up the dirt, grease and road film from the car surface and make it ready for the car washing soap. The presoak is applied to the car and left on for 10-30 minutes. It may or may not be rinsed before applying the car wash soap. A standard presoak formula will contain good builders, surfactants with excellent wetting and penetrating properties and perhaps some solvents such as glycol ethers. In addition, stabilizers and rheology modifiers are used to ensure easy application and long contact time. Most presoak formulas have a high pH (9 – 12) and contain fair amounts of electrolytes such as phosphates, carbonates and silicates. The surfactants suitable for this application must meet two important requirements: They must be stable in high pH as well as in high electrolyte environment. Maintaining pH stability is more important because the electrolyte stability can be compensated by the addition of an appropriate hydrotrope such as sodium xylene sulfonate. Most surfactants have good alkali stability. In fact, amphoterics are stable in alkaline as well as acidic solutions. Different types of amine oxides and amphoterics are good examples of the surfactants that can be used in presence of electrolytes as well as in high and low pH applications. You can actually find a synergetic relationship between some of the builders like surfactants and solvents and MFC. 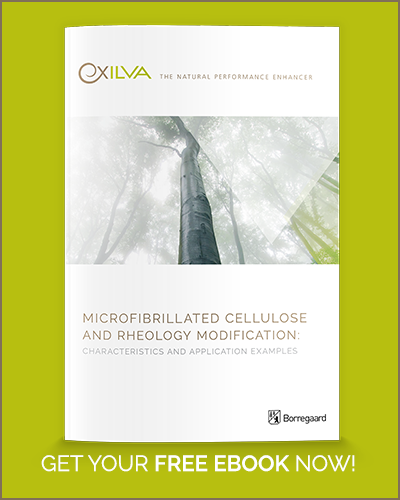 Borregaard has proven with its Exilva product that the viscosity of the MFC is increasing when the loading of for instance glycol ether increases. Thus, you can in a system with a normal amount of solvents and surfactants see an increased efficiency in cost of formulation by adding MFC as the ability to boost the rheology profile comes with a low dosage. No matter the form (paste, spray, foam, liquid) MFC has a lot of potential. MFC is very robust network of fibers which is non-soluble, has high pH stability (1-13), is heat stable, and has very high water holding capacity. Formulations containing MFC can be very thick, but still be sprayed with ease from spray bottles commonly used throughout the industry. How is this possible? MFC is extremely shear thinning, so when no force is being applied, it has very high viscosity. Once some type of shear force is applied (for example the force of the pump sprayer) the viscosity is quickly reduced, allowing for easy spraying. The really cool thing is that the viscosity quickly recovers, so whatever you are spraying stays in place without dripping or running. Figure 1. 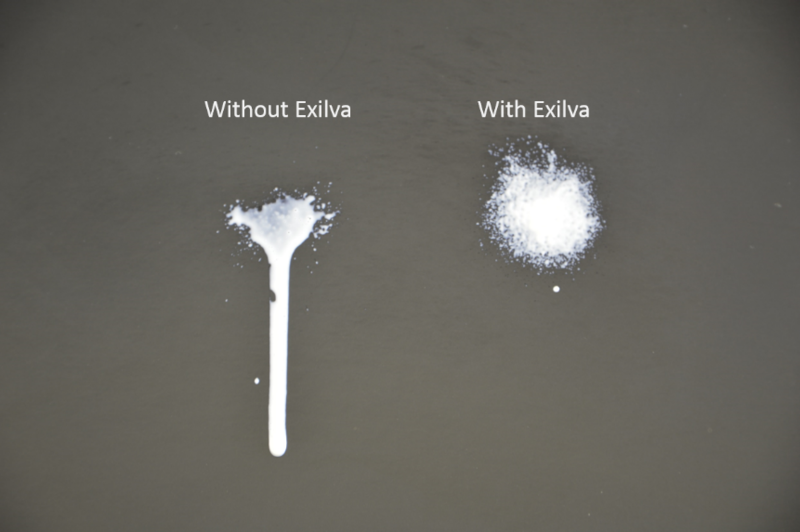 This picture shows how 0.3% MFC (Exilva MFC from Borregaard) makes an oil in water formulation with inorganic pigments (titanium dioxide) thicker and prevents dripping totally (on the right hand side) compared to reference without MFC (on the left hand side). I for sure see potential for MFC in car care products, especially in presoaks. These products can be challenging for other stabilizers and rheology modifiers due to the high pH and high amount of surfactants. 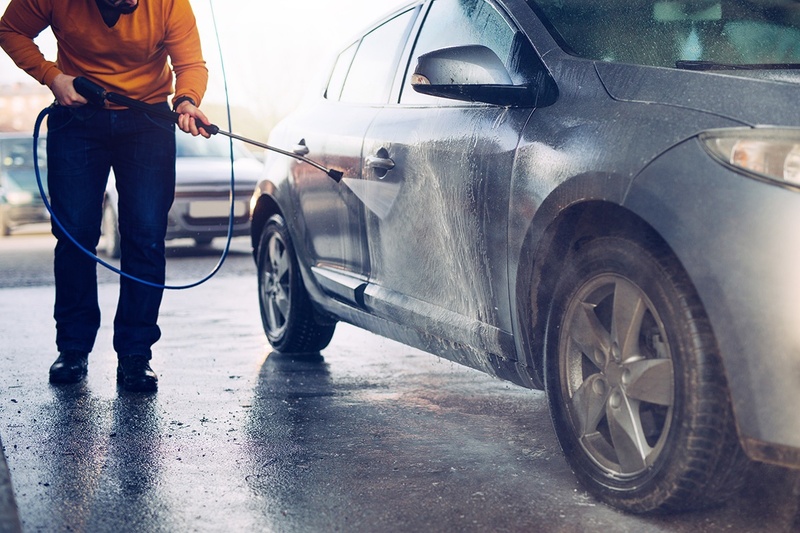 These restrictions do not apply on MFC, so it could be worthwhile to check the MFC in your product formulation and see if you can take your car care products to the next level. Scott Mouw has been working at Borregaard with the Exilva product line since 2015. Scott has a long experience from the field of coatings and pigments, as well as previously working with specialty chemicals.